Published January 3, 2018 | By Priscilla Archangel, Ph.D. Does faith have a place at work? CEOs at some major corporations think so. Published December 23, 2011 | By Priscilla Archangel, Ph.D.
By now even non-NFL fans (like myself) are very familiar with Tim Tebow, the University of Florida Heisman Trophy winner and quarterback for the Denver Broncos, who is well known for his public confessions of faith. Tebow is credited with helping the Broncos to win seven of their last eight games with breakthrough fourth quarter plays, until they fell to the New England Patriots this past weekend. Tebow was born in the Philippines where his parents were missionaries, and home schooled along with his siblings when they later moved to Florida.As a result of a new Florida law providing home-schooled students with equal access to high school sports, he played football in Ponte Vedra Beach then attended the University of Florida where he helped the team win two college football national championships.While there, he used his developing fame to raise money for charitable organizations, and spent his free time volunteering with the poor and needy, and with prisons. He was a first round draft pick in 2010, and in his short career with the Broncos, has many critics of his playing style and capabilities. But he consistently proves them wrong as he performs better than expected in each game. He is one of the most talked about NFL players each week, not only for his exploits on the field, but because of how he interjects his faith into his sport. 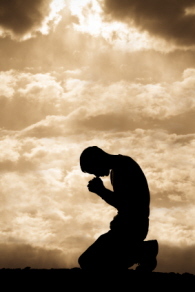 While he claims that God really doesn’t care who wins the game, after every touchdown, he points toward the sky, and drops a knee on the field in prayer. He begins post-game interviews by thanking his “Lord and Savior Jesus Christ”, and closes them with “God bless”. Tebow is also known to write words like John 3:16 and other Bible scriptures in the black paint under his eyes while playing, so that when the camera focuses on him, he’s able to share the Word of God. Published December 10, 2011 | By Priscilla Archangel, Ph.D. Imagine going about your daily routine, when suddenly you have a visitation. Now you may not believe in visitations, but you don’t know what else to call it when suddenly a man appears in front of you. His appearance is unlike any you’ve ever seen. It’s indescribable, as if he’s glowing inside and out. When he opens his mouth to speak, the sound of his voice is melodic yet strong. There’s something intimate about the way that he extends himself to you, yet you’ve never seen anyone like him. As awestruck as you are, you’re not afraid. In fact, you’re spellbound, as you stand there transfixed by his gaze. He opens his mouth, calls you by name, and reaches out his hand to you. You are drawn to him as you respond with your outstretched hand, and he beckons you to sit with him. He then proceeds to speak to you, ever so sweetly, telling you about your future; the things you will accomplish, the people you will meet, the experiences you will have. His words are spell-binding. What he’s saying is so different from your current reality, that you almost can’t comprehend it. He points with his finger into the distance, and as if on cue, your visual field is filled with images of your future. You can see yourself doing the things he said you would do. Like watching a movie, you can see yourself in ways and places that are new and different to you. As the vision fades, you turn back to look into his eyes again, to ask him what all of this means. But just as suddenly as he appeared, he vanishes. You’re left there, alone but not lonely, because your spirit is filled with the words he spoke to you. Your mind is filled with the visions he gave you. Your heart is filled with the warmth he left you. But what does it all mean? He shared with you a deep understanding of your future that you never dreamed of. This mesmerizing man just shared a secret with you; your own personal secret that was for you and about you. You sit there for what seems like forever, replaying the vision over and over again in your mind. As time passes, the vision becomes more and more real to you. Fearing that no one will believe you, you decide to share this secret only with one or two of your most trusted friends; friends who will come as close as anyone to understanding; friends who will hold you accountable to moving toward it. Most of the secrets we share or know are about a person’s past or present. They’re regarded as juicy bits of gossip, generally negative in tone, because the really positive news is often shared openly. But secrets about someone’s future are more difficult to understand or ascertain. Generally, they are a prophetic word; simply put, telling the future. They’re not for everyone to know because not everyone can handle them, not everyone is poised to receive them. Some secrets are meant to stay hidden, others are meant to be revealed at a set time. The fact that this information is a secret speaks volumes about its power. That power can be used for good or for ill, to enlighten and uncover, reveal and release. God is a revealer of secrets. He has information about our future. His secrets are not kept from us, they are kept for us. God, the revealer of secrets prepares the moment so that we will be ready and able to handle the secret He has for us. When we’re ready to receive it, He will reveal it and begin to show us what to do with that information. God uses angels and mankind to reveal His secrets. Thousands of years ago, an angel appeared to a young virgin whose name was Mary, and told her a secret about her future, that she would become the mother of Jesus. Though she wondered how it all would come about, the angel assured her that with God, nothing was impossible. Mary accepted the secret about her future, and said “let it be to me according to your word.” (Luke 1:38 NKJV) Only Joseph, her fiancé, and Elizabeth, her cousin seemed to have any inkling of this marvelous truth. Daniel called God the revealer of secrets because God used Daniel to reveal to Nebuchadnezzar, the king of Babylon the content and meaning of his dream. At that time he was one of the bright young Israelites, held captive in service to the king. Yet God chose someone of low stature in man’s eyes, to foretell the future to a man of high stature. Today, leaders still want to know secrets about their future. They guess, speculate, negotiate, and leverage the future based on their knowledge of the past and present. They plan, strategize, predict and communicate the future based on previous experience and current circumstances. Their stakeholders demand that they meet future performance targets, and so they try to understand and control their secret future. Your future may be a secret from others, but it’s a secret for you. Knowledge of your future secret enables you to act with confidence, like someone pointing the way forward to you. You gain this knowledge by asking the revealer of secrets about your future. You spend time with Him, believe in His great power, believe that whatever He says, no matter how different it may be from where you are now, He can bring it to pass. If you feel stuck right now, not knowing where to turn or what to do with your future, wondering where you’re going and what God wants you to do, know that He’s the revealer of secrets. He knows your future and wants to reveal it to you at the appointed time when you’re ready to receive it. So seek God, the revealer of secrets. 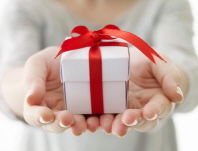 Published November 19, 2011 | By Priscilla Archangel, Ph.D.
What do you give the person who seems to have everything? You give something that costs you little. What do you give the person who seems to have nothing? You give something that costs you much. That’s what Warren Buffett, Bill and Melinda Gates, and 65 other billionaires have decided to do. They’ve pledged to give half of their net worth to philanthropy.In June 2010, Buffet and Gates started the Giving Pledge where they challenge billionaires across the world to sign a pledge committing to give half of their money to charity during their lifetime. For Buffett, this focus on giving started when he was in his 20s studying wealthy industrialists such as John D. Rockefeller, Andrew Carnegie, and J. P. Morgan, and their prolific giving to science, arts and culture. (See Wall Street Journal article for more info.) Now that Buffett has long been established as a billionaire, he is doing the same. He and others are using their wealth to make a difference in every area of life across the world.They are leveraging the fruit of their talents to impact the world.They’ve realized that after a certain point, wealth and riches mean nothing if you can’t use it to help others who may be less fortunate. Buffett and Gates’ initiative is admirable because they’ve made it a priority to lead others in giving. Specifically, they established themselves as ACEs, and you can do the same. Accountability – They challenged other billionaires to be accountable to each other on how they use their wealth. You can identify others who, like you, have an abundance of resources. This shouldn’t be hard, because like attracts like. The people who are your closest friends, with whom you have the most in common, probably have similar resources. Challenge them, hold them accountable to use those resources to make a difference in the lives of others who are less fortunate. Change – They believe that their wealth can create change for the good. What unfortunate situations seem to pierce your heart the most? Is it poverty, sickness, children who lack the benefit of music, art or sports in their educational system? These issues weigh on your spirit for a reason; so that you can do something to make a difference in that arena, using your resources to bring about change. 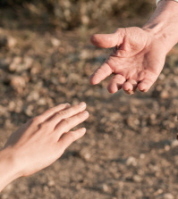 Expectation – They created an expectation that their giving makes a difference in the future of others. You too can expect that your gift will change the lives and environment of others. You can create your own self-fulfilling prophecy that you expect good results from your investment. Since very few of us are billionaires, does that mean that we can’t have an impact in the world? Does that mean that we can’t use our comparably limited assets to help others? We each have an abundance of resources in the form of our time, our talent or our treasures which we can give freely to others. Our time represents what we value most. Take a look at how a man or woman spends their time each day, and you’ll know what’s most important to them. Our talent represents the abilities, skills and knowledge we possess that we can share with others. Freely sharing our talent will reduce expenses and costs to others. Our treasure represents financial resources that we’ve earned or inherited that can fund the good works of others. One person’s time, another’s talent, and yet another’s treasures all working together are essential to improve the lives of people on every continent. So don’t wait for the government or someone else to allocate resources to a problem, or to make it a priority. Determine how you can make a difference. Determine how you can lead others to give extraordinary things in extraordinary ways.